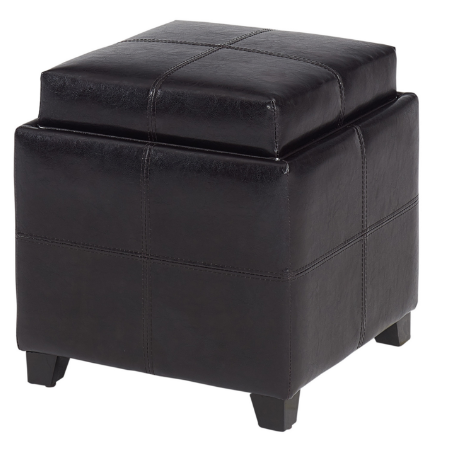 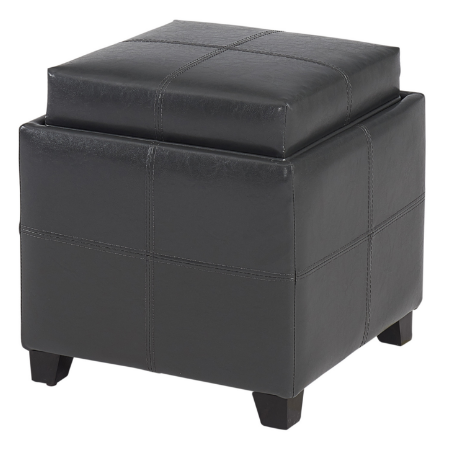 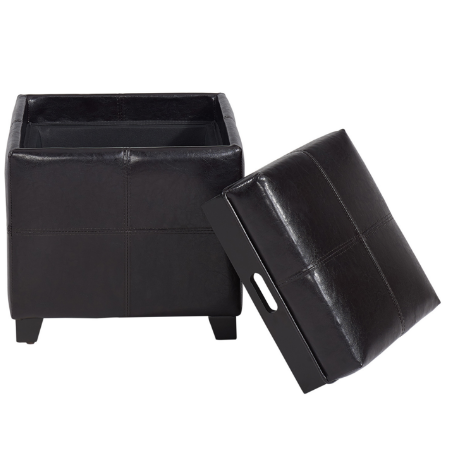 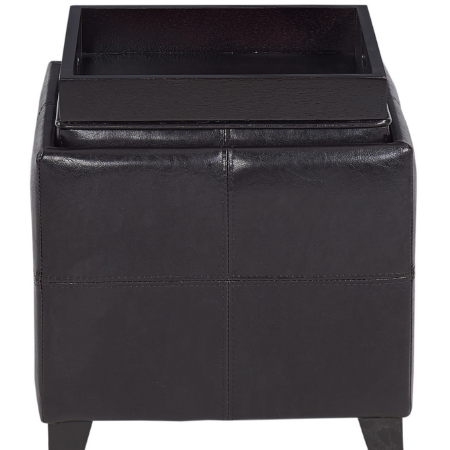 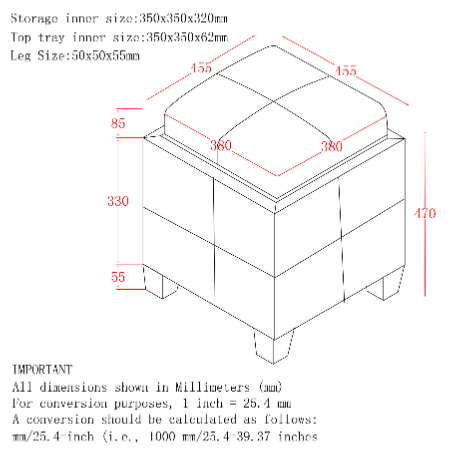 Storage, functionality, and fun all rolled into one with this fabulous storage ottoman. 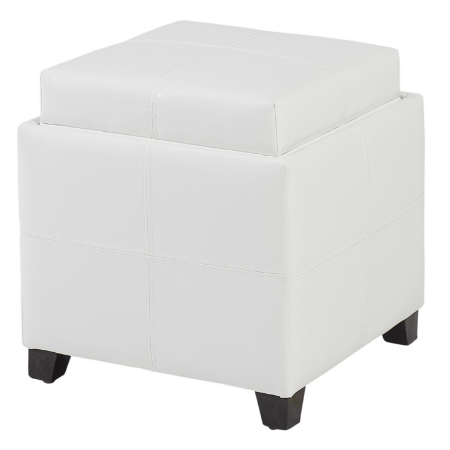 The simple design will work in any space. 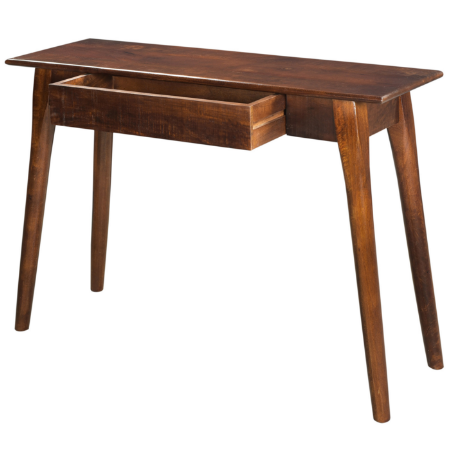 Place a single piece in an empty corner to use for extra seating or storage as needed, or cluster pieces to make a fully functional bench or even a coffee table for your every day space. 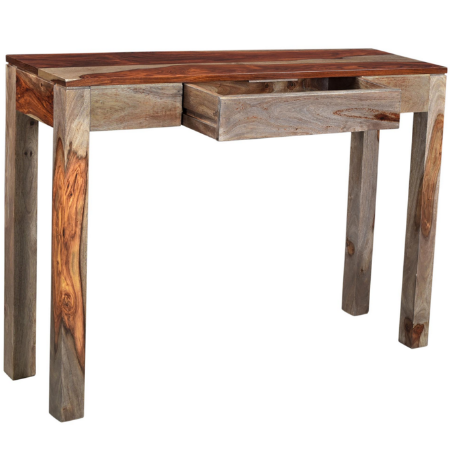 Solid wood legs and serving tray on flip side of lid are finished in a neutral coffee colour. 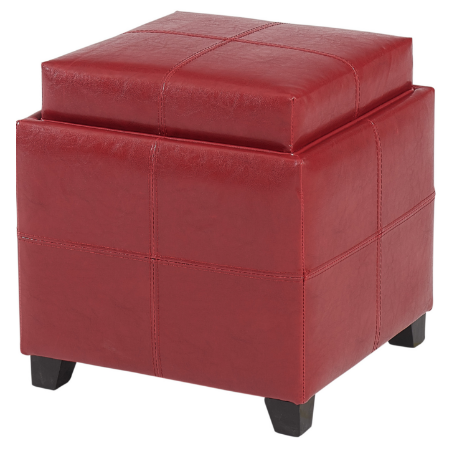 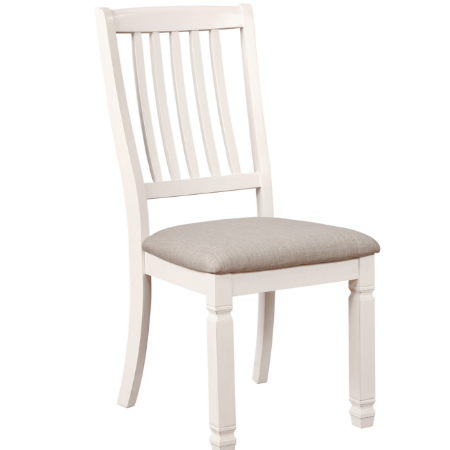 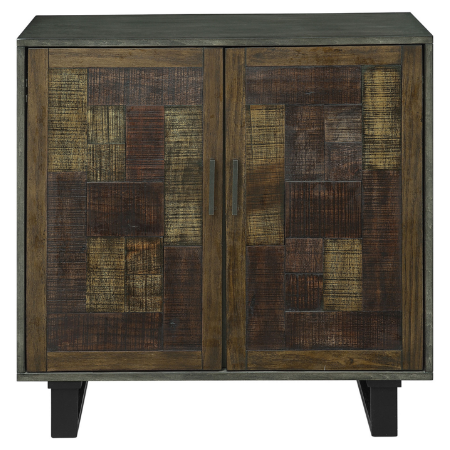 Available in brown, grey, white or red faux leather.